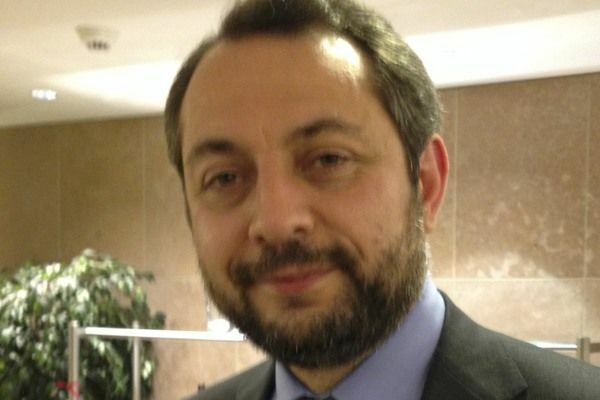 The Vice-President of European Christian Political Movement (ECPM), Mr. Giorgi Rukhadze, is from the Republic of Georgia, the second oldest Christian nation in the world! He enjoyed praying with Christians brothers and sisters at the European Prayer Breakfast. Mr. Rukhadze´s nation is thoroughly Georgian Orthodox, and the nation´s most popular and respected individual is the Patriarch of the Georgian Orthodox Church. - We are going through many challenges as a nation, but the people have strong faith in Jesus Christ, he says. Giorgi Rukhadze is one of the leaders of the opposition party in Georgia, the Christian Democratic Movement of Georgia, and he gets valuable input through his involvement with Christian politicians from other European nations.